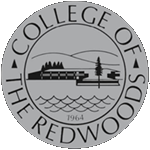 The Redwoods Community College District is committed to the creation of participatory governance structures which are efficient, effective, and which allow for broad participation in the decision-making process. The District seeks to build understanding and trust among various groups in the College through open collaboration and shared responsibility. The College Council is the apex district-wide constituent based collegial consultation body that includes representatives from all of the District's constituent groups. College Council helps ensure that policies and procedures are developed and revised following the collegial consultation process and all relevant constituent input is given due consideration. College Council receives drafts of policy and procedure from the appropriate constituents, reviews and suggests revisions when appropriate, and either sends these documents back to the constituent group that wrote it for any necessary revision or can, if deemed appropriate, create an ad hoc committee (or a subcommittee) for revisions to drafts or resolution of competing drafts. College Council shall seek all constituent's input on the proposed board policy (BP) and/or administrative procedure (AP) before making a final recommendation by majority vote. Final recommendations by the College Council are sent to the President/Superintendent. The President/Superintendent is responsible for taking revisions and new policies and procedures to the Board of Trustees for approval (BPs) or for informational purposes (APs). Members convey information from the Council to their constituent groups and from their groups to the Council. Members represent their constituents' views to the College President who serves as Council Chair. The Council serves to advise the College President before implementation of the recommendations. The College Council may develop and adopt operating procedures to ensure efficient, effective and timely decision-making. The primary task of College Council is to review and revise policies and procedures and send them out to the constituent groups for feedback.